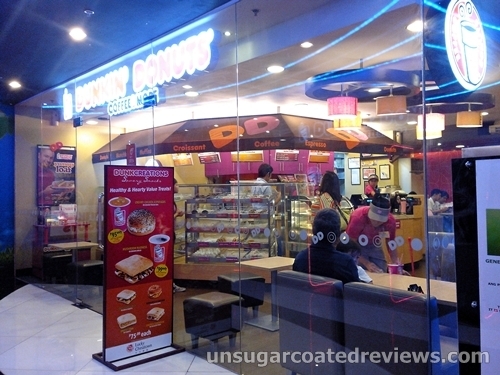 There are now many donut shops here in the Philippines, but as a child of the 80s, when donuts are concerned, Dunkin' Donuts has a special place in my heart. 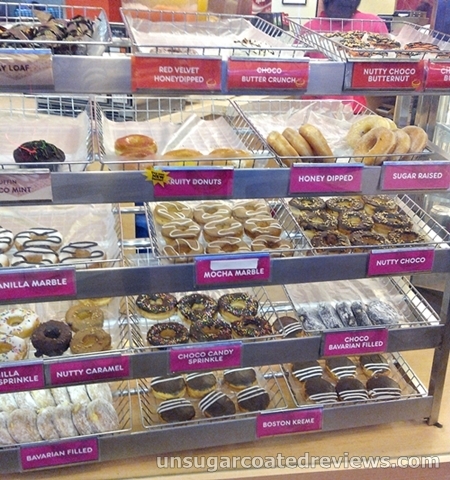 When I imagine donuts (and yes, I daydream about food -- a lot), it's the distinct flavor and aroma of classic Dunkin' Donuts flavors that come to mind. 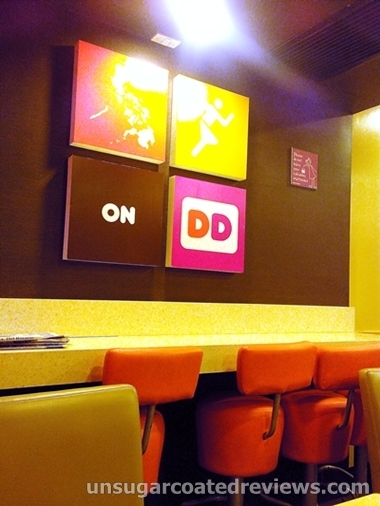 Nowadays, I notice that many DD branches and outlets look outdated compared to their newer competitors. A shame, really, so I was glad to know that the branch in Lucky Chinatown Mall looks modern and hip. 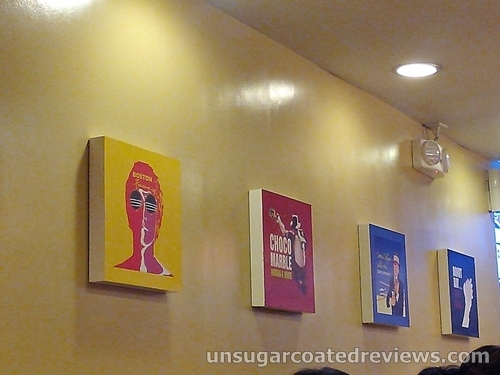 The place is well lit and has a relaxing, positive vibe typical in modern coffee shops. 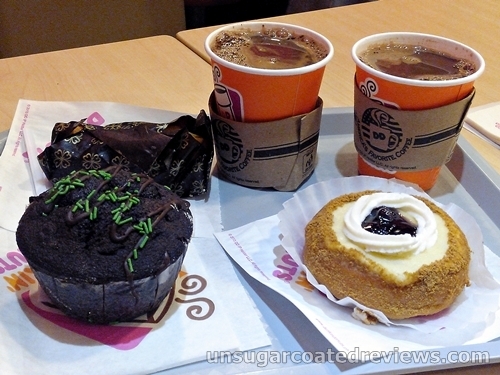 We ordered the Blueberry Cheese donut (P35), Choco Mint muffin (P45), yummy loaf (P40), and hot chocolate (P40). We actually wanted coffee but DD ran out of coffee that afternoon. That was a surprise since according to some things I had read online, DD is increasing their efforts lately to make their coffee drinks more popular. Anyway, the yummy loaf was good but I can't really say more about it because it was not mine and I only got a teeny tiny bite of it. 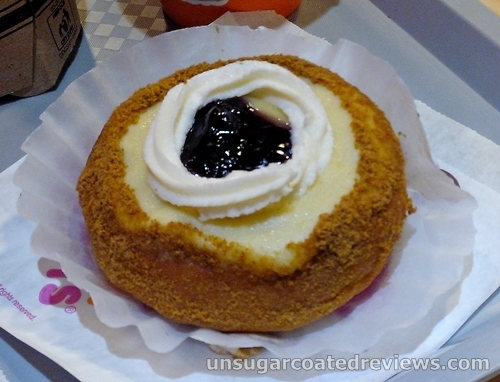 The blueberry cheese donut is a premium donut but it did not appeal to me much because I found it too sweet. 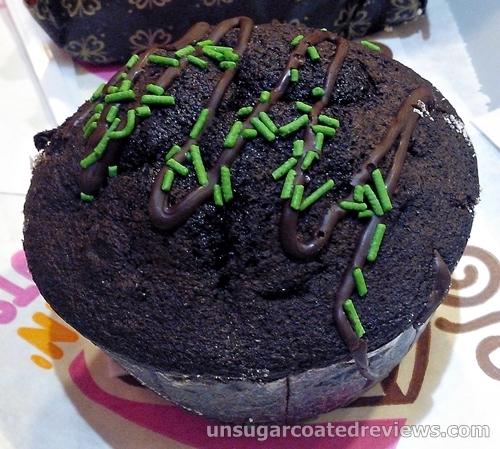 It might have been better paired with brewed coffee; with hot choco, the sweetness was a little overwhelming for me. I prefer the classic donuts. I don't eat a lot of muffins since some of them are dry and too crumbly and I end up with crumbs all over, but the choco mint muffin was seductively calling my name while I was browsing the neighboring donuts. I was happy that I got the muffin. It was moist and its sweetness was just right. There was also a good balance of the chocolatey taste and the mintiness. Reina Regente St. cor. Dela Reina St. It's just sad that my fave Boston Creme is not as yummy as before. 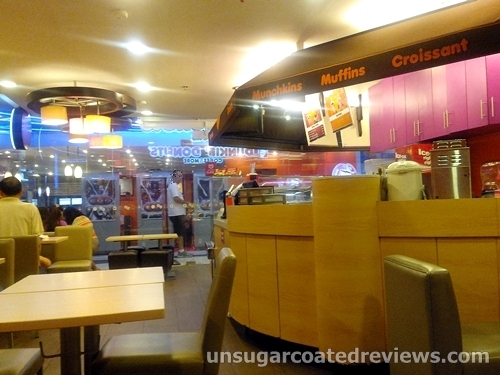 The DD branch near Caloocan City Hall is newly renovated too.